Tours & Lessons Sand Harbor Rentals: Rentals for kayaks, paddleboards, & sailing kayaks. We also have guided kayak tours & paddleboard lessons. This fun and informative tour starts at 9:AM and finishes between 1 and 2 PM. You’ll paddle south out of Sand Harbor, toward the historic Thunderbird Lodge and Chimney Beach, while learning about paddling technique and the East Shore’s fascinating history. This tour requires reservations at least a day in advance, as well as a fitness level that will enable you enable you to paddle for 3 to 4 hours. Lunch is included on this tour. 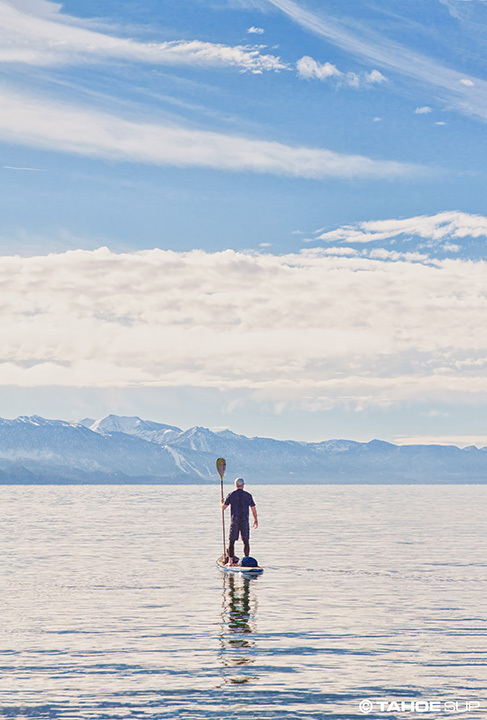 The water is usually smooth and glassy early in the morning, and that’s the best time to SUP (Stand Up Paddleboard). During this one hour session, you will receive some basic paddling instruction while enjoying the lake at its calmest and best. This tour goes from 8:AM to 9:AM.